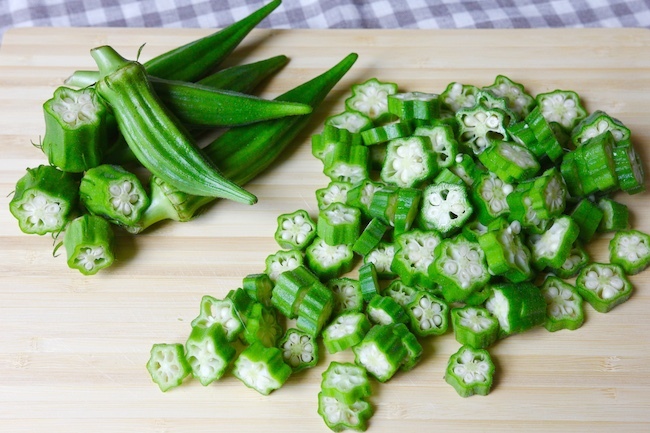 Chop the okra into coin-sized slices. 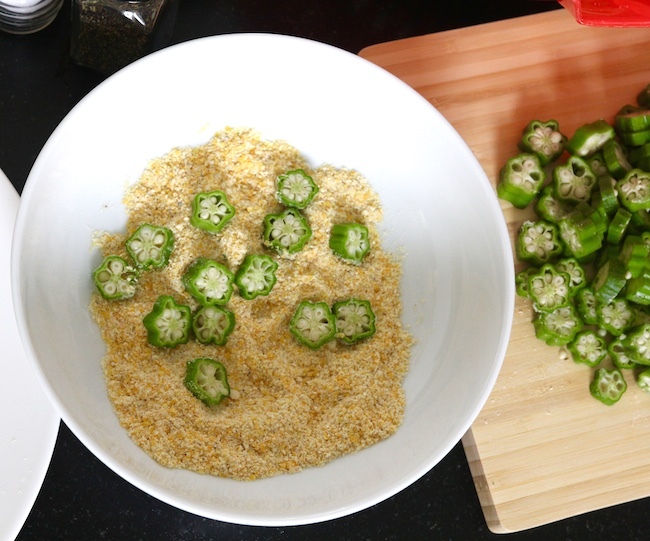 Dip okra into cornmeal and salt mixture and set aside. Heat oil in a saucepan until it is smoking hot. Gently drop okra pieces into the oil and allow to cook for about a minute, until they turn brown and pop to the top of the oil. Remove with slatted spoon and drain well on paper towels. While you are frying the okra, boil the corn in a large pot, to which sugar has been added, for 5 minutes (don’t overcook.) 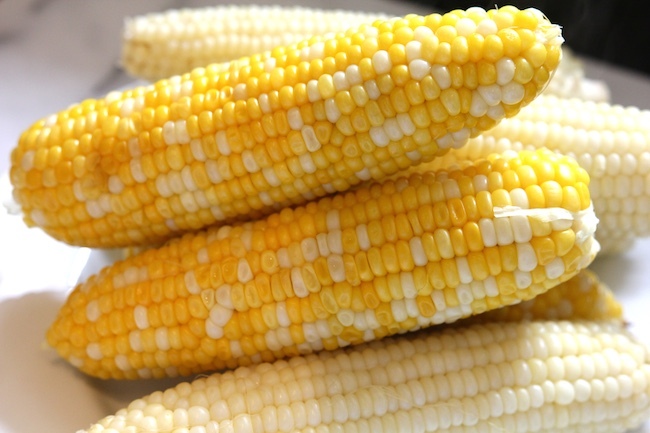 Pour off the water and allow corn to cool. 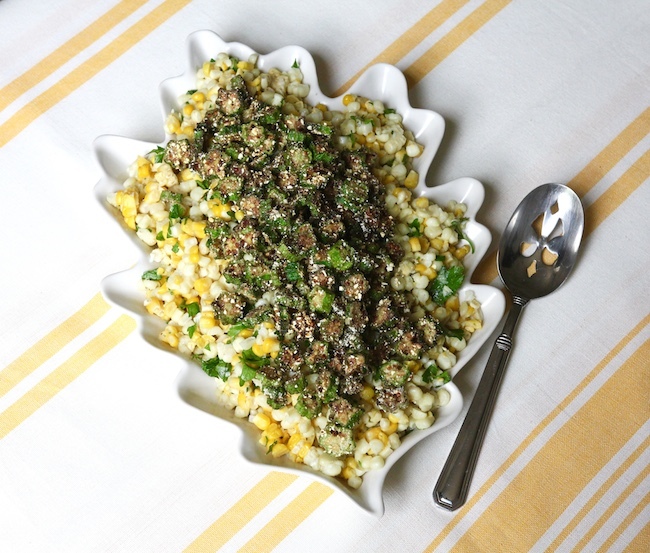 Cut the corn off the cob and place in a serving bowl. Add melted butter, salt, pepper and parsley and mix. Mound the cooked okra on top and serve immediately.